The mountains are currently the main direction for many people, but if you need suggestions to what to do when you stay in Geneva, voila! Here I am with plenty of ideas. I know that this super long article is not very easy to read, but rest assured a solution is on its way! If you need a super short version, it is available on ThingsToDoInGeneva.ch. This time the agenda is divided into highlights, libraries, museum exhibitions, theater shows, and February camps. No age limits. Entry fee (details here). Artgenève is an art expo that has been taking place in Palexpo for several years now. It is a chance to visit local and international galleries in one place. Both public and private collections have their place. Every year there is also a children’s area where they are invited to play and create. The annual Antigel festival does not aim at kids, but here a selection of events and shows that might suit your family or older kids. “Feu Au Lac” a possibility to visit the plage des Eaux-Vives before it opens for the public in summer. The visitors will receive torches that will create a show of lights. Might be difficult with prams, but overall sound like a nice family outing! 2.02, 17h30. “Le Corridor” – a basement of a school transformed into a world of David Lynch or Stanley Kubrick, so definitely for older children or those fearless. 20-23.02, 19h&21h. “Hocus Pocus” – a dance show of thousand and one full adventures, twists and surprises. A show for the whole family, though it starts at 8 pm. 11-12.02, 20h. Free entry, minimum age: 7. Details here. Two installations in augmented reality for young audiences (from 7 years old). The first is “Ko’Ko’s Curse”, an interactive ecological tale co-produced by the RTS. The second one is Adventures-Mat, a play mat to discover the human body. These installations are accessible by using applications for smartphones and tablets. Opening hours: Mon-Wed 9h-19h, Thu-Fri 9h-20h. Minimum age: 12, free entry. More info here. The first weekend of February, the VR (Virtual Reality) Museum of GIFF (Geneva International Film Festival) will be moved to La julienne. The program includes works in virtual reality that reproduce famous paintings realised by contemporary artists. The opportunity to immerse in paintings by Hodler, Vallotton or Böcklin. Opening hours: Saturday 11h-19h, Sunday 11h-18h. For ages 2-4, fee: 5 CHF, reservation required. More info here. The + Dense association invites you to experience an approach to contemporary dance through Danse en famille workshops. Guided by two dancers-teachers, they offer the opportunity to explore the different paths of the dance world. Touching, carrying, hugging, dancing and laughing in an artistic setting, under the direction of professionals, are all actions that create new links between the child and the adult. Reservations at : culture@carouge.ch or 022 307 89 08. No age limits, no entrance fee. Every first Sunday of the month MEG becomes a place filled with activities for kids of all ages. There is a baby bazar for those aged 0-2, guided tours for families, music activities, and more. 14h-17h Make your pair of poï-toa before and dance to improve reflex, flexibility and coordination (places limited, no reservations, free). Starting at 15h, every 30 minutes till 17h, a baby Bazar will take place thanks to Espace Musical. Each session lasts 20 minutes and is destined to families with kids between 0 and two years of age (places limited, no reservations, free). At 15h and 16h an exploration of the exhibition in a very playful way will wait for all kids age 2 and more (places limited, no reservations, free). More info about these activities and even more taking place that day at MEG’s website. A ski festival for kids with fun activities including fun with sledge dogs and Ecole Suisse de Ski. The main event of the day is a slalom for kids attending classes 1P-6P. You can enrol via this document. 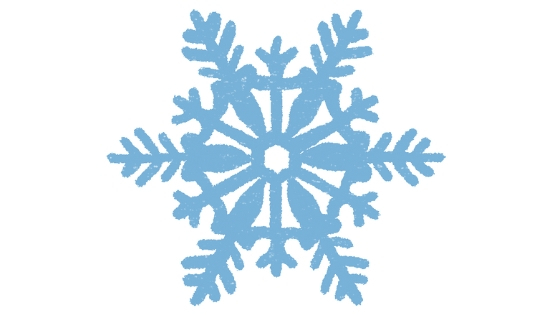 The festival will take over the whole village of Saint-Cergue, the slopes, the ice rink. It all starts at 13h30. More information here. Ages: 5-10, free. More info on Mamco’s website. Guided visits for kids in MAMCO are worth your time! They’re funny, playful, and educative. Each tour lasts 45 minutes, is held in English and French. Children must be accompanied by an adult during the activity. Also on that day, a workshop for kids age 7+ will be held from 15h till 17h, in French. For this workshop, please book your place at visites@mamco.ch, as the number of participants is limited. Alexandra Célérault, an author of the philosophical children’s book “Je Suis Une etoile et Toi Aussi”, hosts regular workshops for kids and families. This one is in the form of a debate on topics chosen by children themselves. It is designed to help kids be more conscious, active, and respectful human beings, learn to listen to others’ points of view. They will work on critical thinking, tolerance, and benevolence. For children aged 4-7, the workshop will start 14h30, last 45 minutes and cost 20 CHF. For older ones between 8 and 12 years old, it will start at 15h30, last one hours, and cost 30 CHF. For bookings and more details, please check on this website. Free entrance, minimum age: 4. A well-known tale about three little pigs and the wolf as a theatre show is awaiting you in Carouge. Inscenization created by Théâtre Couleurs d’Ombres. One house builds with straws, the other with wood and the third one with bricks. Then the wolf comes… it ends happily (at least for the pigs). You can find out more here. Free entrance. No age limit for the event. 3+ for the workshop. Petit Favorite is the new Swiss fashion brand for the whole family! Created by a lovely “Genevoise”, Julie Parenthoux, the brand will soon offer clothes for moms, dads, kids, but first – the socks! Soft, nice, and with a neat print! The event will start at 14h and go on till 18h. Some workshops will be waiting for you (though better to reserve your spot now at julie@petit-favorite.com): silkscreen printing on tote bags, cupcakes decorations (for 3+). More details about the brand here, about the event here. Free entrance, no age limit. Minimum age: 4, free entrance, adult’s presence required, no reservation, a limited number of places. More info here. Mei and Satsuki move to the countryside with their head-in-the-clouds father and their sick mother. To be cured she needs to get away from the stress of the city. Arriving in their house on the edge of a vast forest, they discover the existence of mysterious creatures. The girls develop an unusual, unique friendship with these supernatural beings! A heartwarming beautiful children’s movie. Espace Colibri has a special place in our hearts; we adore their workshops be it painting, yoga, music, or school support. The educators working in Espace Colibri are amazing, passionate, and with heads full of ideas. Improvisation, movement, dance, singing, listening and percussion are at the rendezvous to explore the different facets of a sound universe. The opportunity to practice music in a group and in a fun way without any prerequisites. More information and enrollments here (be sure to check their other courses!). An occasion to create a healthy relationship with everything kitchen-related. Swiss Food Academy hosts many workshops across the canton, including these in Charmille. Each time a different activity with a different theme awaits little cooks and gourmands. If Charmille is not convenient for you, check Swiss Food Academy’s website for workshops in other areas. Enrollments: contact@swissfoodacademy.ch. For babies and toddlers (ages 0-2), free participation, enrollments required. A great program by the city libraries! You come with your kids to enjoy books and reading in an intimate setting of a library. Librarians will accompany you in the discovery of children’s literature, present their favourites and offer you personalised advice. And don’t worry if you don’t speak French, many picture books await you there too! More information here. For enrollments call 022 418 92 02 or email: saintjean-jeunes.bmu@ville-ge.ch. No age limits, reservation required. Bibi Cafe came up with a brilliant idea! A Valentine’s dinner for parents and kids with a special menu, and a nanny to make the kids busy! Reserve a table asap as all events like that in Bibi Cafe get sold out fast. For more information about the dinner check this Facebook event, for more information about Bibi click here. 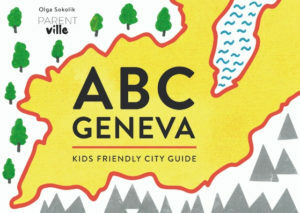 Psst: “ABC Geneva” is available there too! No age limits, free entrance. AMusEn is an association that aims to build a children’s museum in Geneva. Over the February school-break, together with Museomix, they organise a bilingual camp for kids 8+, during which they will ask kids to imagine a museum of their dreams. Based on the dreams children will be building prototypes of their ideas, using traditional materials and modern technology. After the camp, all the prototypes will be exposed in La Julienne! #parentvillerecommended. 2.02, 10h30 for ages 4-6. La Petite Lanterne at Pathe Balexert. Details. 6.02, 16h; Atelier Bricks for kidz in Bibi Café (details). 8.02, 10h30; activities for ages 3-5 at MAH (details). Roulez les Mecaniques -> details. Tender is the night, bilingual -> details. Faites comme chez nous -> bilingual details. Expolarcentre (and their workshops not listed above) -> details. Ariana Museum is always a good choice as is MAH, MEG, MAMCO, Centre d’Art Contemporain – their kid’s activities are all listed above. 6-10.02, Simply Theater, 3+, Storyteller Storyteller (details). 8-10.02, Théâtre AmStramGram, 9+, “Les Tactiques du Tic Tac” (details). Museomix and AMusEn (in Plan les Outaes, for kids age 8-12) – details. Bricks for Kidz – details.